This paper uses some major contributions from accounting institutional theory to discuss the process of convergence toward IFRS. Our analysis identifies the most influential institutions and the complex networks of relationships among institutions, offering a valuable contribution to a better understanding of the current state of diffusion of IFRS around the world and the current progress of the convergence process. We identify the different roles of some main institutions, grouping them into three categories and highlighting their main interactions in different contexts. We place global and international institutions such as IOSCO, EU and other international agencies such as the World Bank into the first category, since they have fostered the initial phase of the convergence process. Secondly, we find that the presence of institutions such as local government and standard setters, which play an intermediary role, mediates between the need to guarantee the implementation of the standards and the need to preserve pre-existing equilibria. Finally, we discuss the role played by the end-users of the standards. Our analysis shows that these institutions are the most critical forces. In fact, in the absence of a structured, led program that orients these forces toward IFRS, the convergence process could result in the proliferation of local systems of standards, increasing the risk that harmonisation is achieved only in name. Alali F. and Cao L. (2010), International financial reporting standards – credible and reliable? An overview, Advances in Accounting, 26(1), pp. 79-86. Albu N. and Albu C.N. (2012), International Financial Reporting Standards in an emerging economy: lessons from Romania, Australian Accounting Review, 22(4), pp. 341-352. Alchian A. (1950), Uncertainty, evolution, and economic theory, Journal of Political Economy, 58, pp. 211-21. Alexander D. and Servalli S. (2009), Accounting regulator change: Towards a general model, working paper presented at 32nd EAA Annual Congress, May, Tampere. Assenso-Okofo O., Ali M. J. and Ahmed K. (2011), The development of accounting and reporting in Ghana, The International Journal of Accounting, 46(4), pp. 459-480. Austin J. (2015), The power and influence of IOSCO in formulating and enforcing securities regulations, Asper Review of International Business and Trade Law, 15(1), pp. 1-24. Braithwaite J. and Drahos P. (2000), Global business regulation. (Cambridge: Cambridge University Press). Brüggemann U., Hitz J. M. and Sellhorn T. (2013). 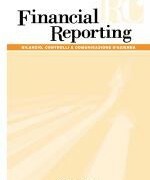 Intended and unintended consequences of mandatory IFRS adoption: A review of extant evidence and suggestions for future research, European Accounting Review, 22(1), pp. 1-37., 10.1080/09638180.2012.718487.DOI: 10.1080/09638180.2012.718487. Burgstahler D., Hail L. and Leuz C. (2006), The importance of reporting incentives: earnings management in European private and public firms, The Accounting Review, 81, pp. 983-1016. Carmona S., and Trombetta M. (2010), The IASB and FASB convergence process and the need for ‘concept-based’ accounting teaching, Advances in Accounting, 26(1), pp. 1-5. Carruthers B.G. (1995), Accounting, ambiguity and the new institutionalism, Accounting, Organizations and Society, 20(4), pp. 313-28. Cascino S. and Gassen J. (2015), What drives the comparability effect of mandatory IFRS adoption? Review of Accounting Studies, 20(1), pp. 242-282. Christensen H., Hail L. and Leuz C. (2013), Mandatory IFRS reporting and changes in enforcement, Journal of Accounting and Economics, 56, pp. 147-177. Christensen H., Hail L. and Leuz C. (2014), Capital-Market Effects of Securities Regulation: Prior Conditions, Implementation, and Enforcement, ECGI Working Paper Series in Finance, n. 407 (February), — available at http://www.ssrn.com/link/ECGI-Finance.html (accessed 12 June 2017). Cieslewicz J. K. (2014), Relationships between national economic culture, institutions, and accounting: Implications for IFRS, Critical Perspectives on Accounting, 25(6), pp. 511-528. Daske H., Hail L., Leuz C. and Verdi R. (2008), Mandatory IFRS reporting around the world: early evidence on the economic consequences, Journal of Accounting Research, 46, pp. 1085-1142. Deephouse D.L. (1996), Does isomorphism legitimate? Academy of Management Journal, 39(4), pp. 1024-1039. Deloitte (2009), IFRS survey 2009 for private companies, Deloitte Developments LLC, — available at https://www.iasplus.com/en/binary/usa/0907deloittesmesurvey.pdf (accessed 20 October 2017). Deloitte (2010), Surveying financial statements in annual reports – 2010, Deloitte Developments LLC — available at https://www2.deloitte.com/content/dam/Deloitte/nz/Documents/audit/Financial-Reporting-Survey/nz_en_Financial_Reporting_Survey_Series_issue5.pdf (accessed 10 January 2017). Dillard J. F., Rigsby J. T. and Goodman C. (2004), The making and remaking of organization context: Duality and the institutionalization process, Accounting, Auditing & Accountability Journal, 17(4), pp. 506-542. Di Maggio P. and Powell W. (1983), The iron cage revisited: institutional isomorphism and collective rationality in organizational fields, American Sociological Review, 48(2), pp. 147-160. Di Maggio P. Powell W. (1991), The new institutionalism in organizational analysis. (Chicago: University of Chicago Press). Epstein B. J. (2009), The economic effects of IFRS adoption, The CPA Journal, 79(3), pp. 26-31. Hellmann A., Perera H. and Patel C. (2010), Contextual issues of the convergence of International Financial Reporting Standards: The case of Germany, Advances in Accounting, 26(1), pp. 108-116. Hennes K.M. and Schenck K.M. (2014). The development of reporting norms without explicit guidance: An example from accounting for gift cards. Accounting Horizons, 28(3), pp. 561-578. Hopwood A. and Miller P. (1994), Accounting as Social and Institutional Practice. (Cambridge: Cambridge University Press). Hopwood A. (1994), Some reflections on ‘The harmonization of accounting within the EU’, European Accounting Review, 3(2), pp. 241-254. IOSCO (2005), Statement on the development and use of International Financial Reporting Standards in 2005 (Madrid: International Organization of Securities Commissions), — available at https://www.iosco.org/library/pubdocs/pdf/IOSCOPD182.pdf (accessed 11 November 2016). Irvine H. J. (2008), The global institutionalization of financial reporting: The case of the United Arab Emirates, Accounting Forum, 32(2), pp. 125-142. Judge W., Li S. and Pinsker R. (2010), National adoption of international accounting standards: an institutional perspective, Corporate Governance: An International Review, 18(3), pp. 161-174. Kamal-Hassan M. (2008), The development of accounting regulations in Egypt: Legitimating the International Accounting Standards, Managerial Auditing Journal, 23(5), pp. 467-484. Kim J. B., Liu X. and Zheng L. (2012), The impact of mandatory IFRS adoption on audit fees: Theory and evidence, The Accounting Review, 87(6), pp. 2061-2094. Lasmin D. (2011), Accounting standards internationalization revisit: Managing responsible diffusion, Procedia – Social and Behavioral Sciences, 25, pp. 363-374. Leuz C. and Wysocki P. D. (2008), Economic consequences of financial reporting and disclosure regulation: A review and suggestions for future research, working paper, available at SSRN 1105398. Leuz C., Nanda D. and Wysocki P. D. (2003), Earnings management and investor protection: an international comparison, Journal of Financial Economics, 69(3), pp. 505-527., 10.1016/S0304-405X(03)00121-1.DOI: 10.1016/S0304-405X(03)00121-1. Di Maggio P. Powell W. (1991), The new institutionalism in organizational analysis. (Chicago: University of Chicago Press). pdf (accessed 11 November 2016). Leuz C., Nanda D. and Wysocki P. D. (2003), Earnings management and investor protection: an international comparison, Journal of Financial Economics, 69(3), pp. 505-527. Mir M.Z., and Rahaman A.S. (2005), The adoption of international accounting standards in Bangladesh. An exploration of rationale and process, Accounting, Auditing & Accountability Journal, 18(6), pp. 816-841. Muniandy B. and Ali M. J. (2012), Development of financial reporting environment in Malaysia. Research in Accounting Regulation, 24(2), pp. 115-125. Nobes C. and Roberts A. (2000), Towards a unifying model of systems of law, corporate financing, accounting and corporate governance, Australian Accounting Review, Mar., pp. 26-34. Poudel G., Hellmann A. and Perera H. (2014), The adoption of International Financial Reporting Standards in a non-colonized developing country: The case of Nepal, Advances in Accounting, 30(1), 209-216. PwC (2016a), IFRS and US GAAP: similarities and differences, Pricewaterhouse-Coopers — available at http://www.pwc.com/us/en/cfodirect/assets/pdf/accounting-guides/pwc-ifrs-us-gaap-similarities-and-differences-2016.pdf (Accessed 22 August 2017). PwC (2016b), IFRS adoption by country, PricewaterhouseCoopers, — available at http://www.pwc.com/us/en/cfodirect/assets/pdf/pwc-ifrs-by-country-2016.pdf [Accessed 22 August 2017]. Rezaee Z., Smith L. M. and Szendi J. Z. (2010), Convergence in accounting standards: Insights from academicians and practitioners, Advances in Accounting, 26(1), pp. 142-154. Rodrigues L. L. and Craig R. (2007), Assessing international accounting harmonization using Hegelian dialectic, isomorphism and Foucault, Critical Perspectives on Accounting, (18), pp. 739-757. Scott W. R. (1987), The adolescence of institutional theory, Administrative Science Quarterly, 32, pp. 493-511. Scott W. R. (2001), Institutions and organizations, 2nd ed. (Thousand Oaks, CA: Sage). Suchman M. C. (1995), Managing legitimacy: strategic and institutional approaches, Academy of Management Review, 20(3), pp. 571-610. Van Hulle K. (1993), Harmonization of accounting standards in the EC: Is it the beginning or is it the end? The European Accounting Review, 2, pp. 387-396. Watts R. and Zimmermann J. (1986), Positive Accounting Theory. (London: Prentice Hall). Zucker L. G. (1991), The Role of Institutionalization in Cultural Persistence in W.
Powell, P. J. DiMaggio (Eds. ), The New Institutionalism in Organizational Analysis, pp. 83-107. (Chicago: The University of Chicago Press).